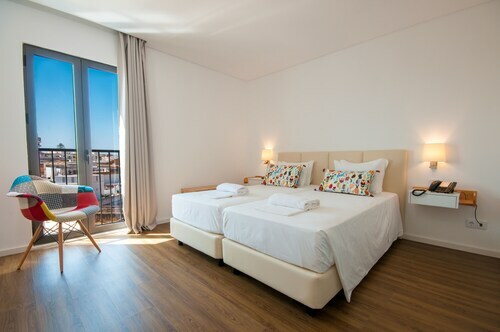 Gain even more savings by bundling your lodgings and flights. 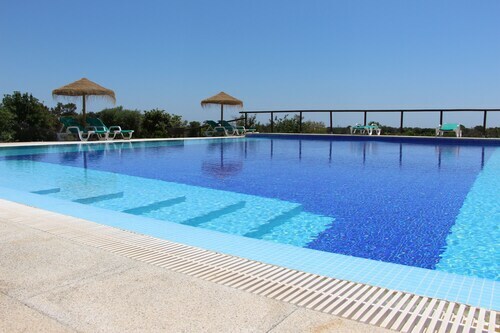 Expedia has loads of outstanding Olhao travel packages that'll simplify things and give you more cash to splurge! With more than 400 partner airlines and 321,000 worldwide properties available to you on our comprehensive database, you'll be heading off on your holiday in no time! It's enjoyable to just roam the streets when you're in a new destination, but sometimes it's wise to come up with a plan. Grab your schedule — we have lots of awesome ideas for your impending Olhao holiday. If you're interested in experiencing the area's history through its architecture, stick Moncarapacho Museum and Chapel on your hit list. Make sure you stop and read any signs or plaques which tell the intriguing stories behind it. There's a wonderful range of things to keep you busy in this destination. Burn off some calories and get some fresh air by traipsing to the summit of Sao Miguel Peak. Be sure to keep a keen eye out for native wildlife along the way. Still have time to spare? Immerse yourself in nature at Parque Natural da Ria Formosa and learn about the vitally important work they're doing to safeguard our native habitats. The world is packed with adventure, and there are lots of epic experiences to be had when we pack our bags and take a holiday. Have some time up your sleeve? Go to our Olhao things to do page for a full list of activities. 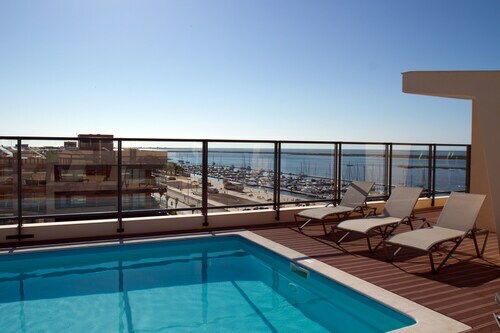 If you're after luxury getaways or cheap holidays in Olhao, it's advised you book your accommodations in advance. There are only 9 Expedia properties currently available. If you haven't got time to trawl the net for hours for somewhere to stay, why not check out our suggestions? The Pousada Palacio De Estoi - Monument Hotel & SLH and Vila Monte Farm House are some of the most talked-about properties in the area. There's nothing as satisfying as finally hitting the tarmac at Faro International Airport (FAO) after sitting down in a cramped cabin for hours. After you've claimed your suitcases and done a few stretches to get your legs moving again, you'll be just 9 miles (14 km) from the centre of Olhao. While staying in Olhão you’ll most likely want to visit the nearby islands of Ria Formosa Natural Park, which is accessible by ferry from this harbor. Located on a small island that separates Rio Formosa Natural Park from the sea, this undeveloped beach offers calm, clean waters and few crowds. Nice hotel in a good location. Good facilities - balcony in the superior room I stayed in and swimming pool. 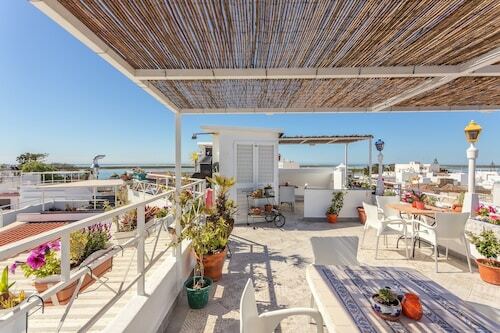 Situated in Olhao, this guesthouse is close to Ria Formosa Natural Park, Ilha da Armona Beach, and Moncarapacho Museum and Chapel. 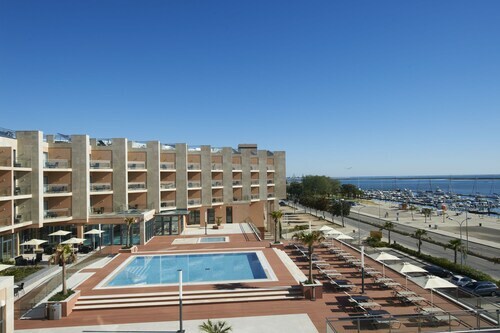 Local attractions also include Olhao Harbour. Lovely, welcoming and friendly hotel. Very helpful with recommendations.